Inside: The bedtime routine that will make your family stronger and make bedtime more enjoyable. It was evening again, and I felt like the busyness of the day had kept me from actually having a moment to actually connect with my children. It was almost time for bed, and I had a chance to give one last push to make this day count. We all started up the stairs. My husband took his cue and teased, “Whose feet am I going to get?” as the kids then sprinted up the stairs. I ran the bath water while my kids hid from us, which is their favorite game at bedtime. 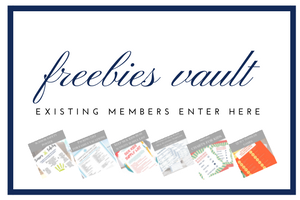 Get your printable bedtime and evening routine charts here. Once in the bath, we talked about the day in between splashing, playing, squirting bath toys. I used JOHNSON’S® NO MORE TANGLES® shampoo & conditioner to wash their hair and followed it up with JOHNSON’S®NO MORE TANGLES® conditioner for my daughter. She has an incredibly sensitive scalp plus long hair so I try to make brushing her hair as comfortable as possible by using Johnson’s No More Tangles products. 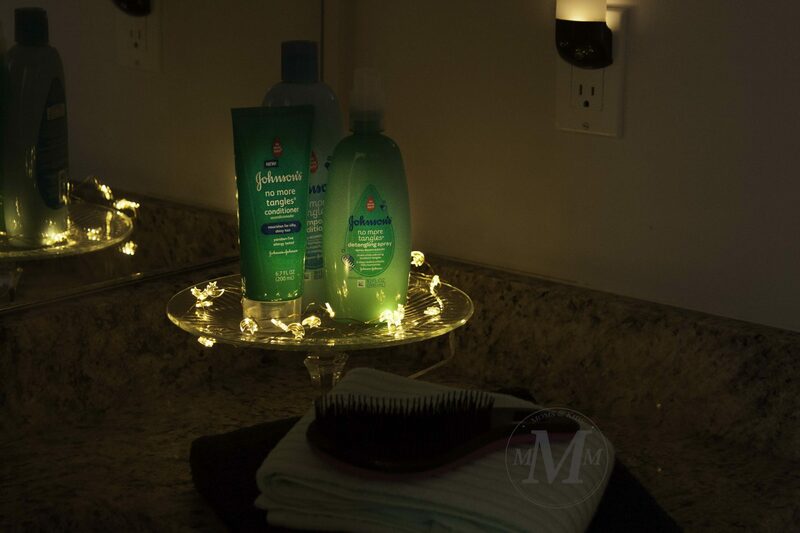 I order all of my favorite JOHNSON’S® Baby products online from Walmart because it’s so convenient. After bath time, we put on their jammies and brushed their teeth and hair. I snuck in snuggles as I held my son to brush his teeth. Next, I helped my daughter onto the stool so I could brush her long blonde hair. We giggled as she made silly faces in the mirror as I sprayed her hair, using JOHNSON’S BUDDIES® No More Tangles detangling spray. 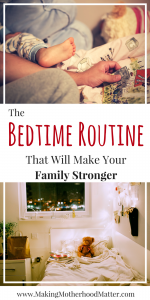 I found myself naturally forgetting about the stress of the day and really being able to enjoy my kids in this simple bedtime routine that helped me slow down. For my favorite part of the night, we all piled into the bed in our master bedroom for books and snuggles. I laid in my bed getting crawled over and nudged as my kids squeezed into the spaces under each of my arms. I thought to myself how lucky I was to have my kids quarreling about who gets to snuggle next to who. We read books, exchanged hugs and slobbers, I mean kisses, and took the kids to their beds. And after a few songs, we closed their doors and said good night. This night by most standards was pretty ordinary, and yet at the same time, it was extraordinary to me. Because it was a night that I was able to press my face into my sweet babies’’ hair as I read them a story. To enjoy their little bodies squished next to mine. And to slow down so I could listen to the things that were important to them. 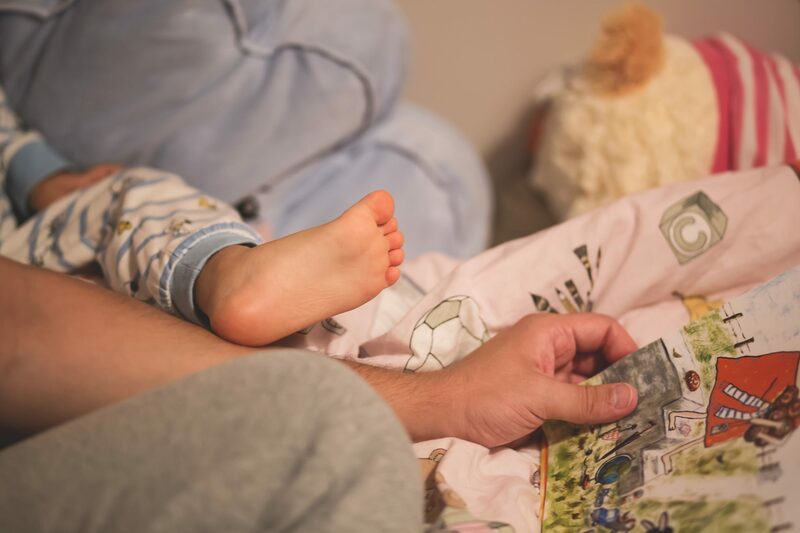 Taking this time to connect during their bedtime routine has helped us build a stronger family, one tiny, ordinary moment at a time. 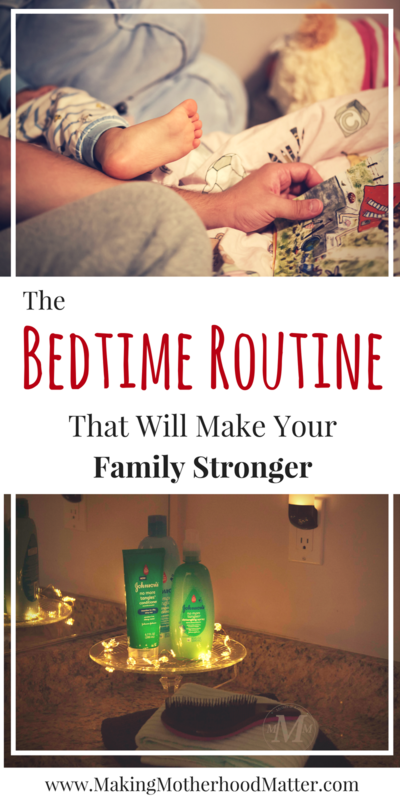 What kind of bedtime routine do you do with your family? You may also like Instant Ways to Simplify Nightly Routines With Printable Charts for Kids. Don’t forget to check out how simple it is to order your must-have items from Walmart.